We live in a world where millions of people will walk past a concert hall and only a fraction will step inside. Interestingly, thousands will gather at WrestleMania. Igudesman & Joo have finally found common ground between these two, seemingly opposite, spectator sports. Clementi had to contend with Mozart’s ingenuity, Beethoven blew Steinbelt out of Vienna, and Handel sparred Scarlatti in a joust of fingers (ending in a draw where Handel took the honour for organ mastery—the instrument, not his liver—and Scarlatti reigned harpsichord supreme). Now, Igudesman & Joo prepare themselves to go head-to-head and put an end to the bull—for good. 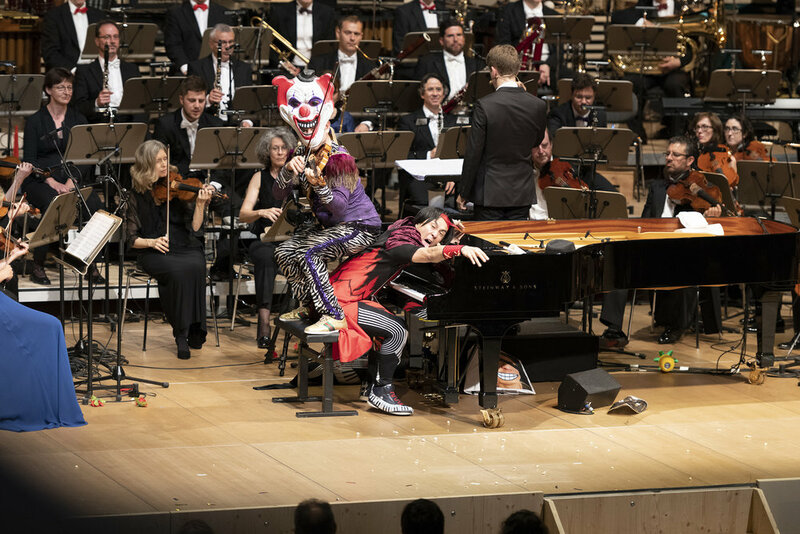 Igudesman & Joo live with Tonhalle-Orchester Zürich under conductor Joshua Weilerstein. - I would love to be part of an orchestra. - You’ve come to the right place. - Which instrument would you like to play? - Which one do you recommend? - Ah, well, for that we have to go back to the beginning! - Back to the beginning of the orchestra? - No, back to the beginning of everything! The utterly uproarious virtuosos—violinist Aleksey Igudesman and pianist Hyung-Ki Joo—are at it again with their delightfully daft orchestral show “UpBeat.” They take the audiences on a madcap musical ride with stops at every conceivable genre from Ravel to rock, from hip-hop beats to would you believe tee-hee-hees. Live performance with Vienna Symphony Orchestra at the Wiener Konzerthaus. When bribing the Jury is only one of many ways for victory, who will withstand the pressure? 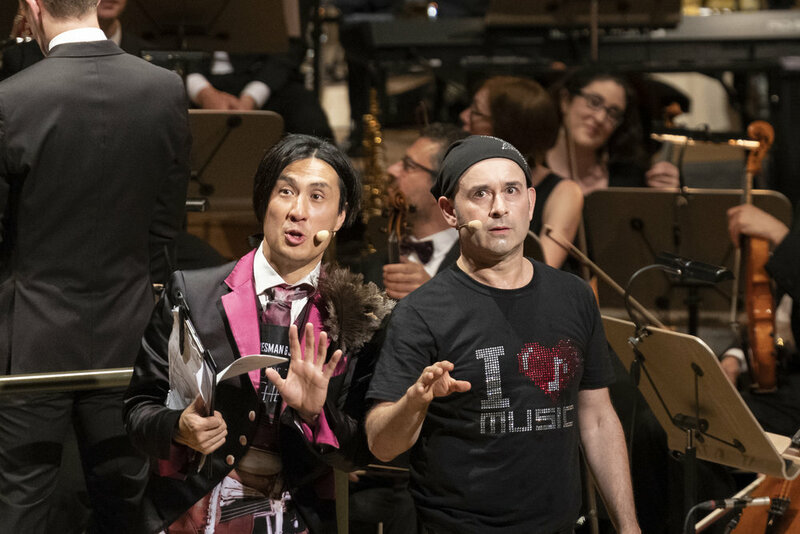 In the heart of the Swiss alps, young classical musicians think they compete for the chance of their lives, not knowing the producers have a very different plan. With the feel of talent show television, we take a surreal yet truthful look behind the scenes of a music competition, which is part of the 50th anniversary of the famous Sion Festival. Soft scripted, partly comical interviews expose the absurdity and the emotional highs and lows of everyone involved. 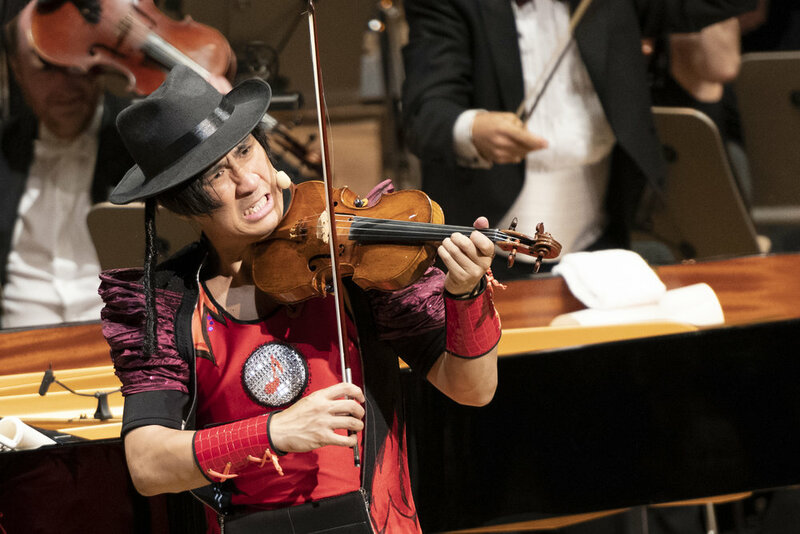 Igudesman & Joo – world class musicians competing for fame and fortune – find their friendship and careers at risk due to their own idiocy. With the help of their celebrity and musician friends, the music-comedy duo rush to save their careers. Set in the uninhibited world of music and shot documentary-style, Igudesman & Joo must navigate zealous fans, greedy business partners, and their own ambition in order to rediscover their passion for music.